The Dan Edward Muirhead in Yazoo City, Mississippi provides the following products. To learn more about each insurance product, click on the links below. Dan Edward Muirhead has been helping Yazoo City drivers find better auto insurance coverage since they first opened their doors. Let our agents make sure your policy includes covered damages and claim limits that make sense for the financial protection of your household. Local motorists who come to Dan Edward Muirhead will also know that we've searched for and applied each qualifying policy discount. Some of the possibilities include good student, anti-theft and multi-policy discounts. No amount of defensive driving can prevent every accident, but it is possible to get coverage for a huge range of potential damages. From a list of qualified car repair shops in the Yazoo City area to Nationwide's AutoWatch® program, the On Your Side® Claims Service is ready should you ever need it. In the meantime, consider rewarding yourself for each year of claims-free driving with the Vanishing Deductible program. Dan Edward Muirhead can answer questions about coverage limits, policy options or billing schedules. Our expertise and Yazoo City auto insurance options also include customized solutions for individual households and specialty vehicles. Call us at (662) 571-1100. Choose coverage and buy a policy over the phone, or schedule an appointment with our local office. Dan Edward Muirhead is located at 1315 E Broadway St.
Dan Edward Muirhead can help you shop for one of the most important products you'll ever buy - the home insurance policy that will protect your home assets. Learn from our Yazoo City agents what types of damages to include in your coverage and what claim amounts make sense for your property. For as tightly knit as Yazoo City neighborhoods are, no two households are exactly the same, even within 39194. For this reason, Nationwide offers a number of different home insurance products for more personalized coverage. Dwelling coverage, for example, offers financial protection for floor coverings and built-in appliances. Contents coverage includes assets like furniture, clothing, and a few other essential belongings. Valuables Plus® covers specific types of high-value items that you may keep in your Yazoo City home. Or you can even take advantage of Nationwide's exclusive Brand New Belongings® program. Best of all, there's no reason to feel overwhelmed by any of these decisions. Let Dan Edward Muirhead walk you through the options and clearly explain your policy choices. Simply give us a call at (662) 571-1100. Or, if you're in the 39194 area during office hours, swing by our Yazoo City location at 1315 E Broadway St, and we can discuss your home insurance options in person. Dan Edward Muirhead and Dan Edward Muirhead can help you find the right policy to protect your legacy and provide financial security for your loved ones when you are no longer living. Insurance is a smart investment. Getting the right policy is easier than you think. Call (662) 571-1100 for an appointment with an agent. Feel free to stop by 1315 E Broadway St,Yazoo City,MS,39194 to discuss Nationwide coverage options in person. 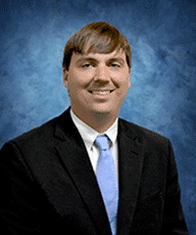 Dan Edward Muirhead has extensive local knowledge of the various industries operating in Yazoo City and 39194, earned through past experience working with individual companies that call Yazoo City home. The professional liability needs of a doctor, lawyer, or real estate agent are much different than, say, the commercial property insurance needs of a wholesaler/distributor. And with our own brick-and-mortar location, we understand how important location is to commercial insurance - even to those businesses which lease their operating space. These diverse risk management needs also explain why we help so many of our commercial clients with a business owner's policy from Nationwide. With this type of policy, Dan Edward Muirhead can combine different coverages into a single policy customized for your company's goals and responsibilities. But no matter your business insurance needs, know that Dan Edward Muirhead can help you find coverage that makes sense for your Yazoo City company. Don't wait any longer to protect what you've worked so hard to build. Let Dan Edward Muirhead make sure your customers, employees, and business are covered. Give us a call at (662) 571-1100 to discuss how we can better manage your company's risk and set up a payment schedule that fits with your weekly, monthly, and annual business expenditures. The Dan Edward Muirhead also offers products in AL, MS, TN, TX. Please call for information on products in those states. Dan Muirhead Insurance is a third generation insurance agency serving the Vicksburg, Richland, and Brookhaven communities. Our agency staff has over 50 years of experience in the insurance industry.